Toddlers at Magic Kingdom? A toddler’s emotions can go up and down quicker than a roller coaster! Is a trip to Magic Kingdom a good idea with your little one? 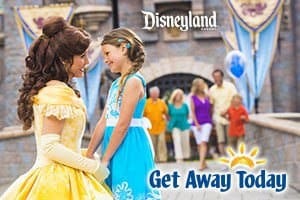 I’m for taking kids of all ages to Disney theme parks and I’ll give you the practical advice. I’ve taken babies, toddlers, tweens and teens to Disney parks over the years, so I have the insider Disney tips! Here’s your Walt Disney World guide including what attractions are best, where to eat and what to pack with you for the day when visiting with toddlers at Magic Kingdom. 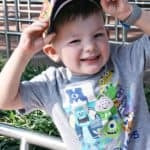 These are my tried and tested tips for Walt Disney World with toddlers! Toddlers can be a fickle bunch. One moment they’re happily clapping along with Mickey during a meet n’ greet and the next they’re screaming in Pluto’s face when Mom tries to snap a photo. You might be wondering if it’s a good idea at all to take a toddler to Disney parks. Is there anything for two year olds at Disney World? I’ve been traveling to Disney parks all my life, including my very first visit to Disneyland when I was just one year old. I’ve been taking my children to the parks for years, even taking my then-6 month old daughter cross-country to Walt Disney World! 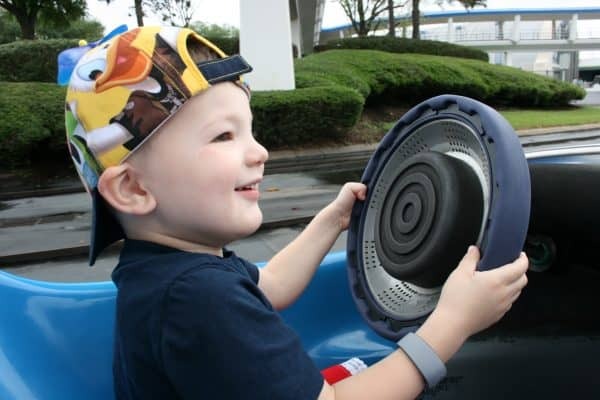 There are rides for babies at Magic Kingdom, so you know that there are things toddlers will love too! 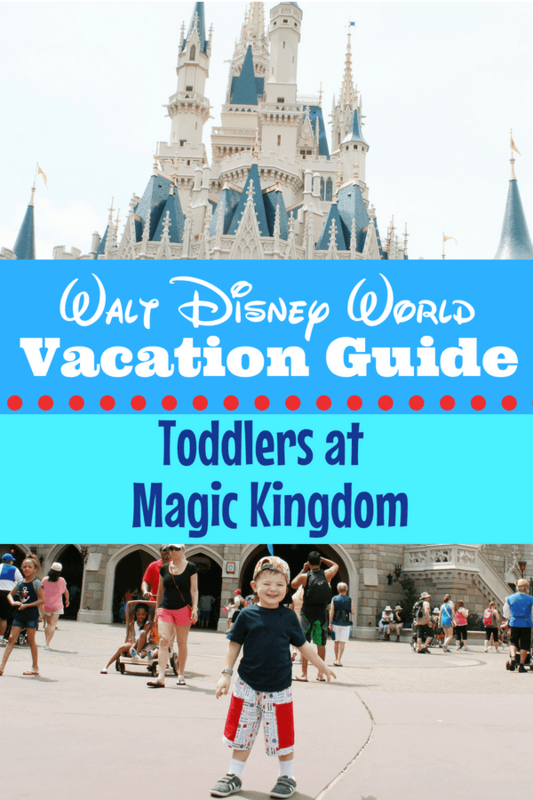 I think taking toddlers to Disney parks is a wonderful idea and I’ll tell you why Magic Kingdom in particular is the perfect toddler vacation spot. Of all the Walt Disney World parks, I think Magic Kingdom is tailor-made for toddlers. There is really so much that little ones can enjoy here including shows, attractions and dining. Many of the rides in Magic Kingdom do not have height restrictions, so toddlers can join their parents in the fun. As noted, toddlers can be unpredictable. That being said, there is quite a bit you can do pre-trip to get them ready for Disney. Brush up on which Disney rides your toddler will be tall enough for on your vacation. This list of Magic Kingdom rides that do not have a height requirement will be safe for everyone! Watch YouTube videos of the rides you think they’ll want to go on. They’ll be less stressed out or worried if they have an idea what to expect ahead of time. Read Disney-themed books and watch age appropriate Disney films or Disney Junior programs to get toddlers familiar with some of the characters. I have this post with Disney themed book suggestions for toddlers. Create a countdown calendar that will count down the days until your vacation. 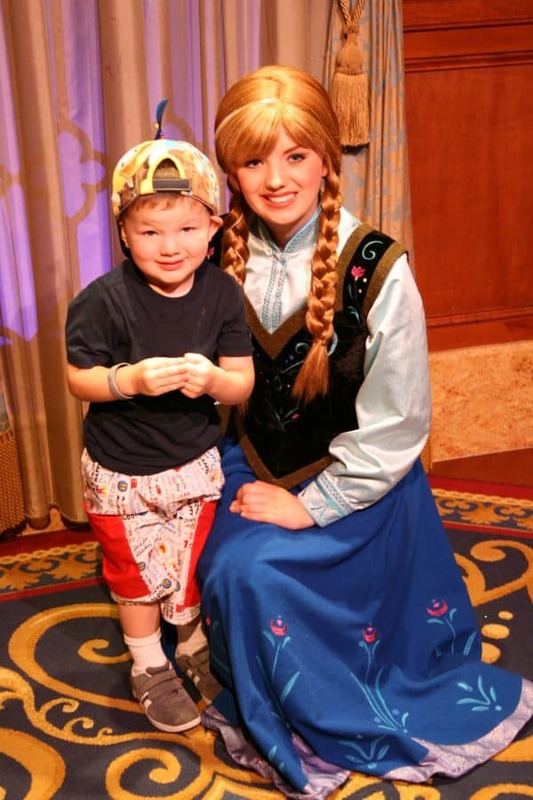 Choose some Disney outfits for kids that feature their favorite characters (more on picking the best Disney vacation clothes). Download a Disney travel planning video and watch it with your child to show them what Disney World looks like. Click the Disney image below to receive your FREE Disney Parks vacation planning guide! Toddler Tip #1: Find out from your toddler what their top three “must-do” things are for the trip. Whether it’s meeting a certain princess or eating a churro, put those things at the top of your vacation list and make sure they happen! Every great Disney day begins with a well-stocked bag. 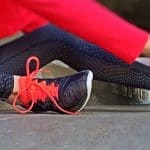 These are a few of the essentials you should consider packing in with you. For more packing tips, see this free printable packing list for Disney with kids. Toddler Tip #2: Choose a backpack instead of a diaper bag. You’ll be able to wear the backpack in queue and remain hands free. 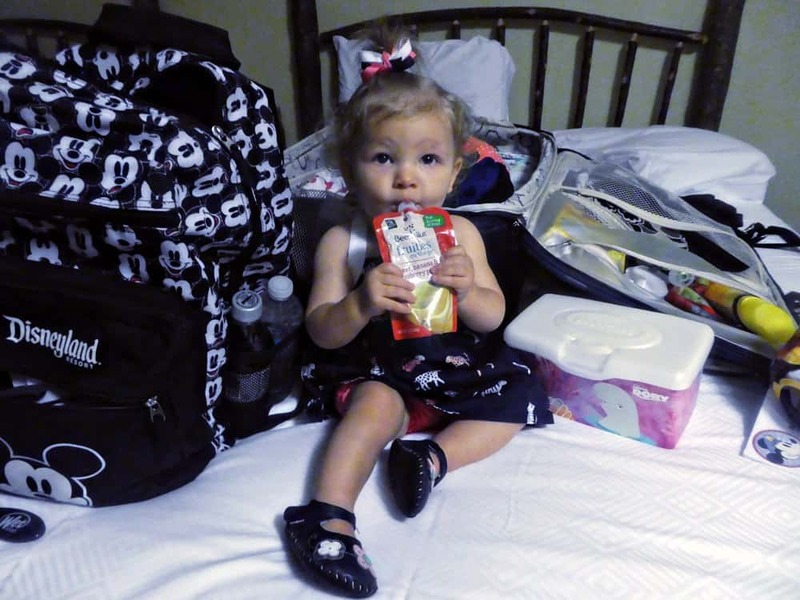 Here are more Disney diaper bag packing tips! If your toddler is an early bird, I’d recommend getting to Magic Kingdom at park opening, aka “rope drop”. Arriving early will allow you to experience many of the rides in Fantasyland with less of a wait than if you arrive mid-day. Once you’re inside Magic Kingdom, immediately hit Fantasyland. Rides like Peter Pan’s Flight, “it’s a small world”, Prince Charming Regal Carrousel, the Many Adventures of Winnie the Pooh and Dumbo the Flying Elephant are toddler favorites. Toddler Tip #3: Start the day with a quick snack in the hotel room. Something like fresh-cut fruit, a granola bar or even dry cereal (avoiding sugary snacks) will get toddlers on the right side of the bed in the morning. Enjoying a morning snack while Mommy packs the Disney day bag! 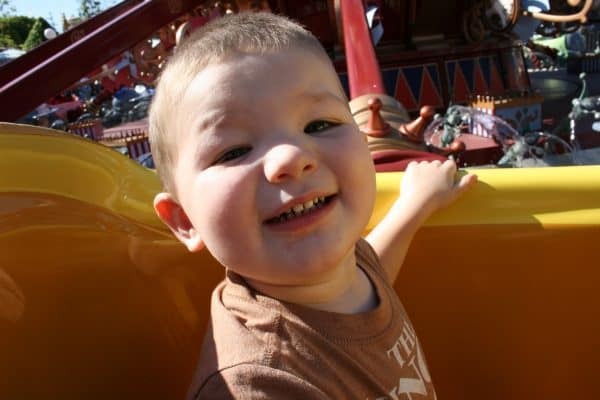 Toddler Tip #4: Most toddlers will enjoy a day that’s well-balanced with rides, shows, play and rest. Instead of rushing around the park tackling all of the rides, make sure to schedule in some downtime. Plan time before and after some of the shows that will allow for a nap, free play or a snack. 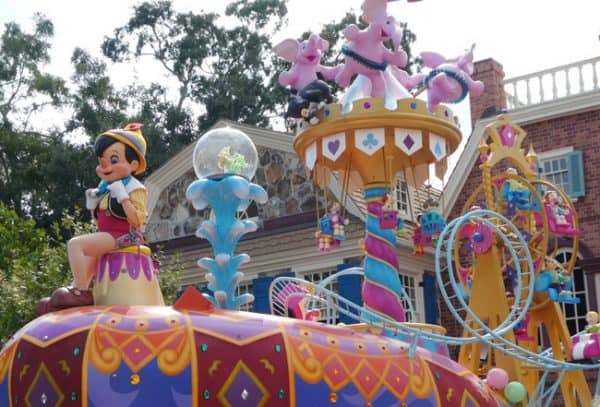 Toddlers that are too shy for meet n’ greets might just enjoy waving to characters at the parade instead. 5. A Full Belly Makes for a Happier Toddler! A grumble in a toddler’s tummy will make them turn from beauty to beast! Here are some dining tips to keep toddler bellies full and happy. 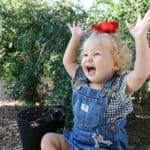 Children Under 3 Eat for Free (sort of) – You are welcome to share your meal with your toddler at no additional charge. You can also prepare them a plate at any buffet meal without cost. However if you order your toddler their own plate from the menu or something from the kid’s menu, you will need to pay for it. Look for the Mickey Check – Kid’s Mickey Check meals meet Disney nutrition guidelines as a healthier meal. These dishes limit calories, saturated fat, sodium and sugar. Snacks – There are snack locations and carts all over Magic Kingdom with savory and sweet treats for toddlers. Toddler Tip #5: Don’t think you have to rely only on the snacks sold in the park. 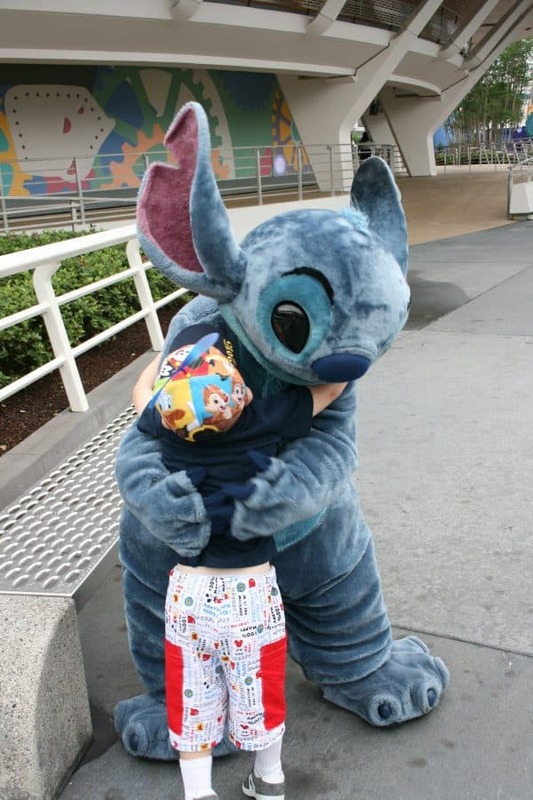 Pack in your toddler’s favorites; you’re allowed to bring snacks in the parks with you! Be sure to balance out snacks with fresh fruits, veggies and lean proteins to avoid mid-day crash! Plan ahead by making Advanced Dining Reservations for any full-service meals you wish to eat in Magic Kingdom (here’s how to get the reservations for the meals you want!). 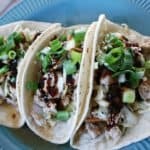 Research menus ahead of your trip before deciding what restaurants will work best for your family. While you might be hungry for the Layered Ratatouille at Be Our Guest restaurant, your toddler may be less than thrilled at the Chicken Brochette. Make sure that what’s on the menu will be something your toddler will eat. Plan on a much longer dining time at full-service locations. If your toddler can’t sit through a usual restaurant experience or fusses because he’s done and wants to leave, consider dining quick service instead. 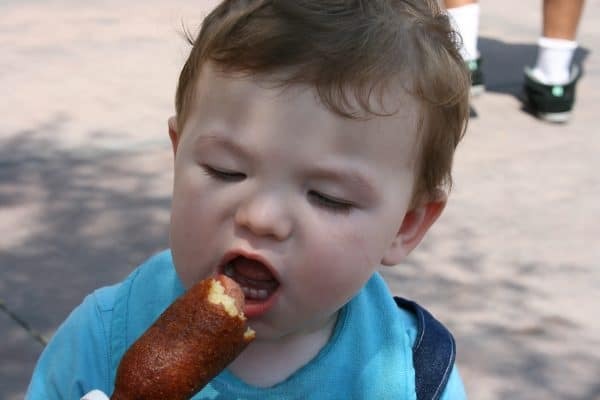 You want Disney dining & your toddler probably only cares about the corn dogs! Quick service meals are often delivered fast, making them great for when your toddler is hungry RIGHT NOW! Divide up the adults when in a quick-service restaurant. One adult can grab a table and high chair for the toddler and the other adult can place all the orders. Use the My Disney Experience app, order and pre-pay for quick service dining at many Disney World park locations. Once you arrive, click the “I’m here, prepare my order” button and your food will be ready in a flash! So awesome when you have a hungry toddler. Character Meals – Toddlers may especially enjoy the buffet character dining in The Crystal Palace with Winnie the Pooh and friends. 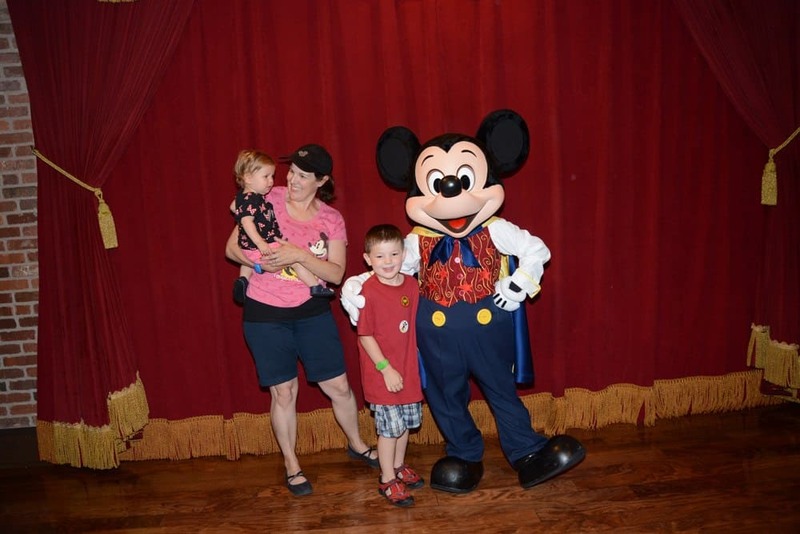 One caveat: If your toddler is afraid of characters (or you suspect they might be), avoid booking character dining or risk having them cry during the entire meal! Let your toddler think he’s in control behind the wheel! Looking to entertain them while waiting in queues? Check out these tips and tricks for waiting in line at Disney! 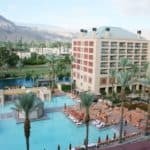 If your toddler is accustomed to napping you might want to consider returning to the hotel before nap time to ensure that she gets the rest she needs before the dreaded meltdown ensues! 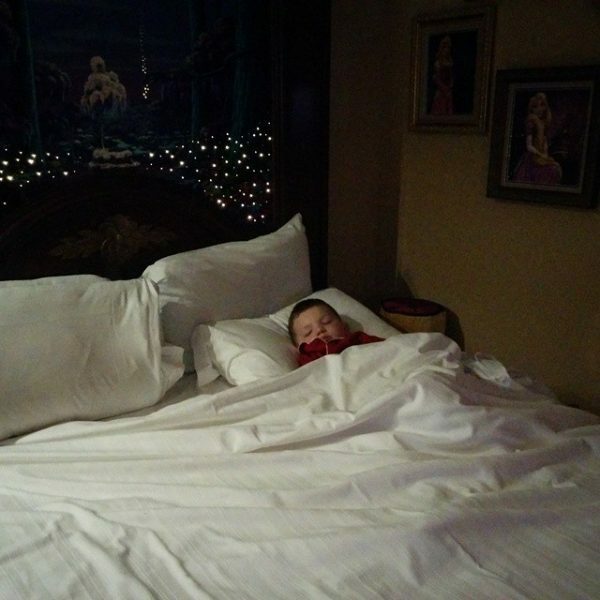 If your toddler can sleep despite the extra noise and excitement inside Magic Kingdom, start by winding things down a bit and enjoy a few mellow attractions like Walt Disney’s Carousel of Progress, Under the Sea – Journey of the Little Mermaid, Tomorrowland Transit Authority PeopleMover or Liberty Square Riverboat. 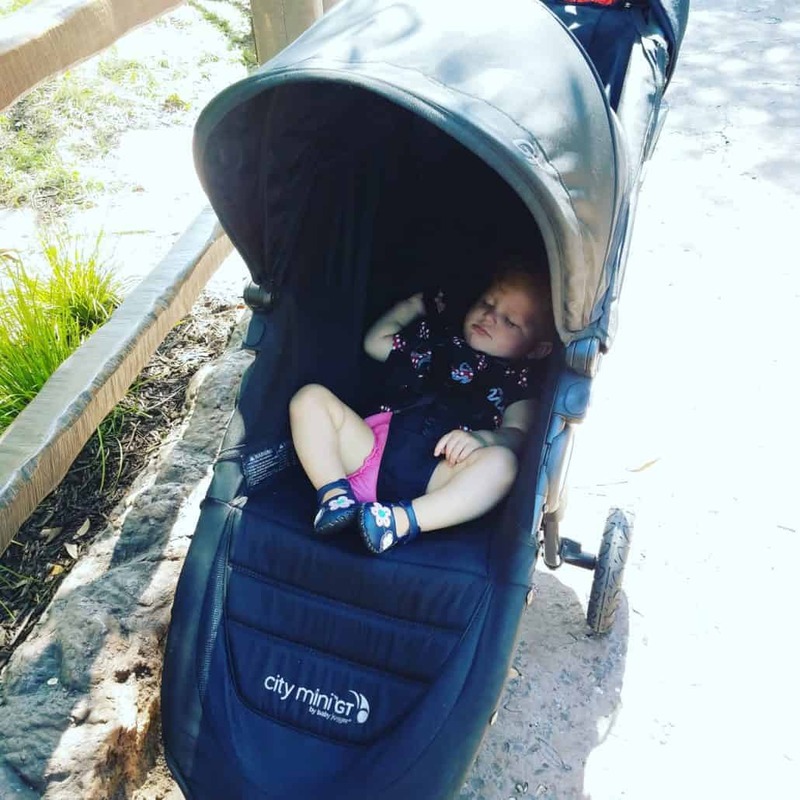 Then seek out a location where your toddler can rest in the shade of their stroller. I found a nook near Gaston’s Tavern to be a great resting place that included a seat in the shade for me! Toddler Tip #6: Use a stroller, even if you think your toddler won’t ride in one. Little legs get very tired from all the walking and it’s great to have a shady place for them to rest or just eat a snack. If you don’t want to bring your own stroller, consider renting one during the trip from Amusement Park Rentals. 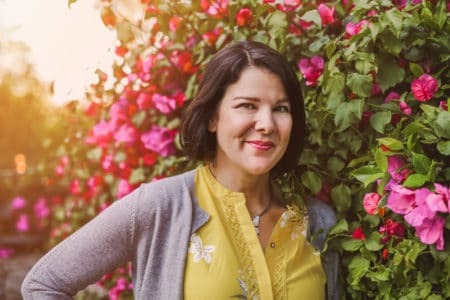 Even if your toddler is tall enough to ride the Seven Dwarfs Mine Train, Big Thunder Mountain Railroad or Splash Mountain, it doesn’t mean they should. There are some rides at Magic Kingdom (like Haunted Mansion) that don’t have a height restriction. But these attractions may be frightening for little ones. Some toddlers are even scared around characters which means character dining meals may be too much exposure for them. Only you know your child and whether to push or step back. Be sure to read more on 5 Helpful Tips for Calming Scared and Anxious Kids at Disney. Toddlers love to sing and dance. If you see Casey’s Corner Pianist playing or the Dapper Dans singing, let your toddler get up out of the stroller to dance and clap along. Pressed coins. What toddler doesn’t love to turn the crank on the pressed coin machine and have a quirky souvenir to show everyone? Aim to collect several from around the park. Save a souvenir to hand your toddler when you leave the Park. Something small like a race car or a bottle of bubbles can help prevent cranky kid meltdown at the end of the night (and also give them something to entertain themselves on the bus back to the hotel). These are a few Disney souvenirs you can pre-purchase and have in the diaper bag! Electrical Water Pageant. Another great way to get your toddler out of Magic Kingdom, by showing them this simple and sweet parade that takes place each night outside the park exit. Back at the Port Orleans Riverside, dreaming of Disney! 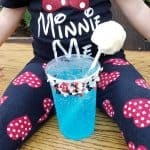 Planning a trip to Disneyland with a toddler? 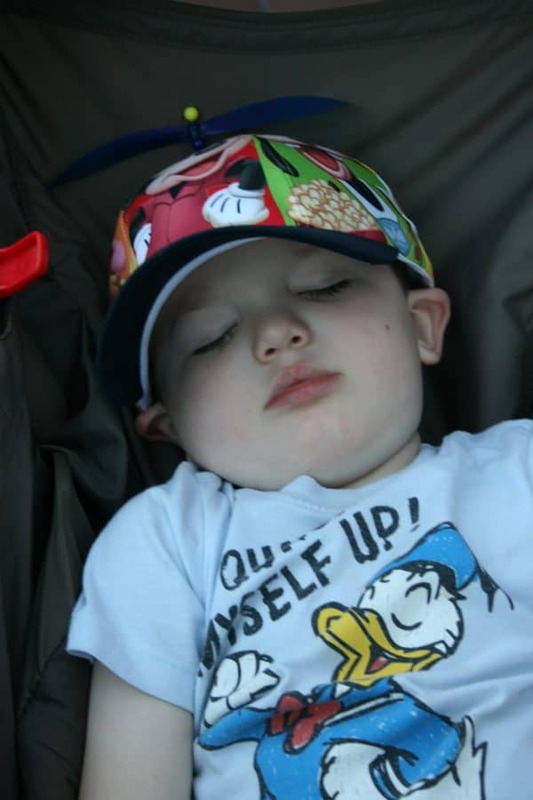 Be sure to read this post with a one-day itinerary for Disneyland with Toddlers.